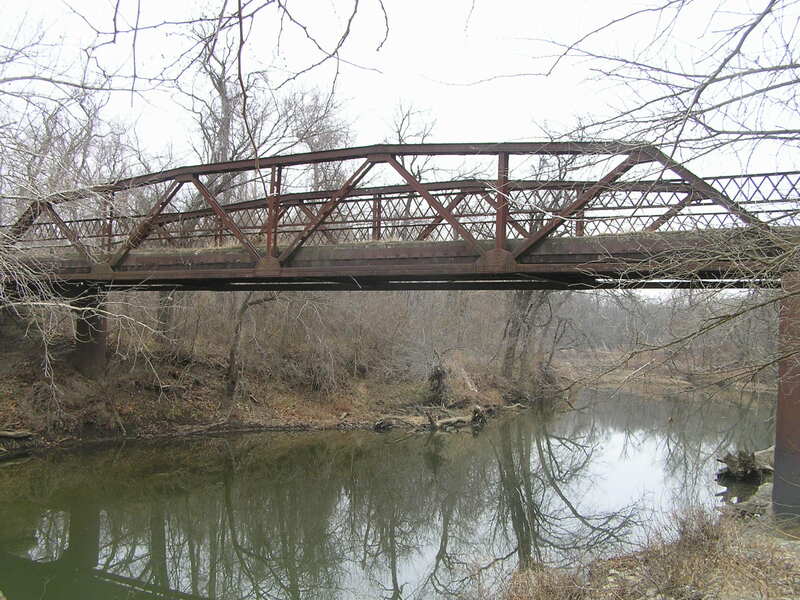 Built in 1909, this unique curved top-chord Warren pony span is 80 feet long. 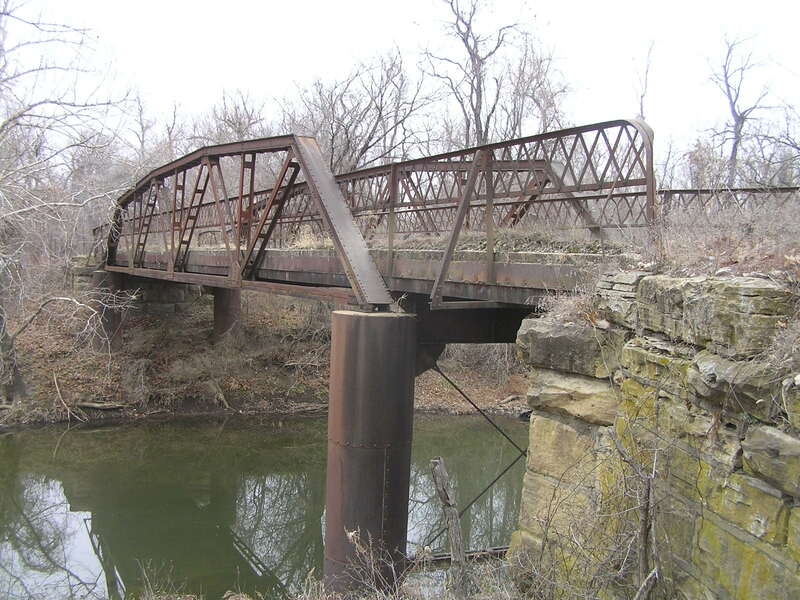 It was built by the Illinois Steel Bridge Company, a firm that was popular in Craig County. Above is a view through the structure. 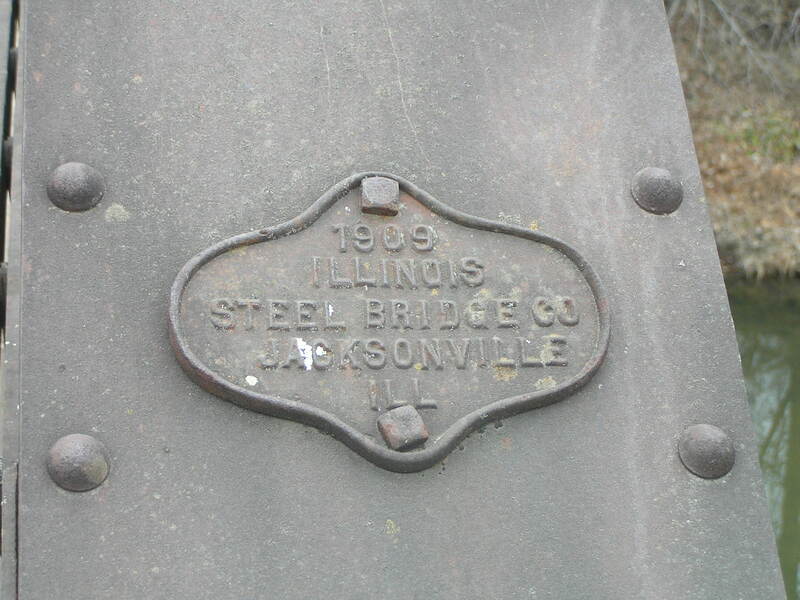 Below, the builder's plate. 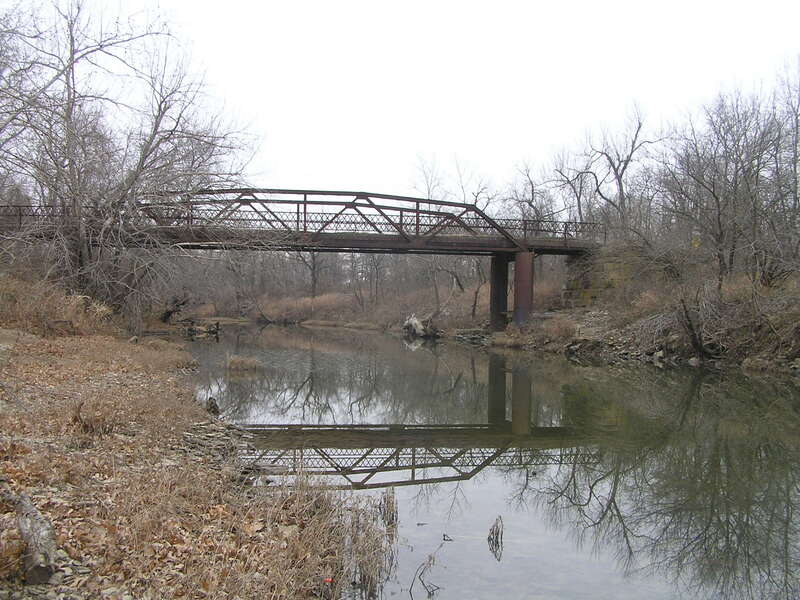 Above, side view and reflection of the truss span. Below, original lally columns supporting the mainspan. The top of the columns are connected by a substantial built-up plate girder. This girder carries the ends of the stringers. 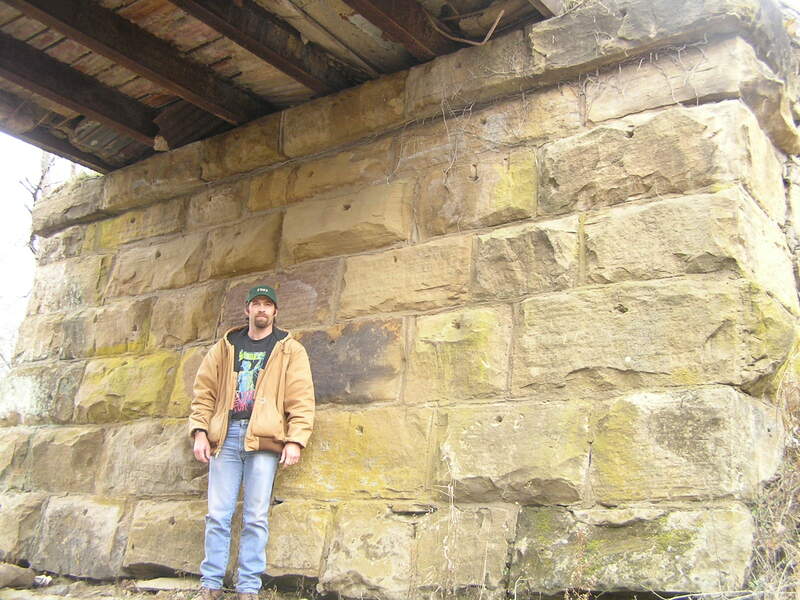 Above, with a bridgehunter for scale, we see the stone abutment. 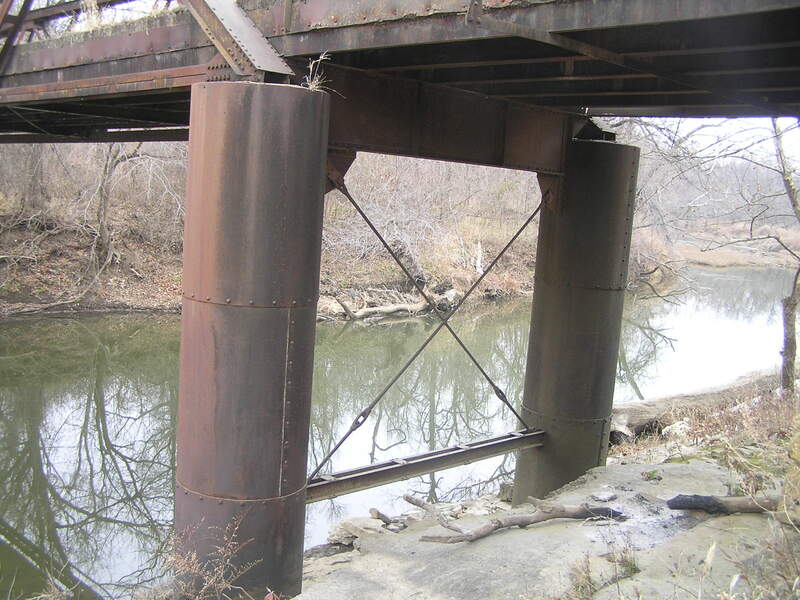 Below, this view shows the abutment & piers relative to the whole structure. Above, a close side view of the truss. 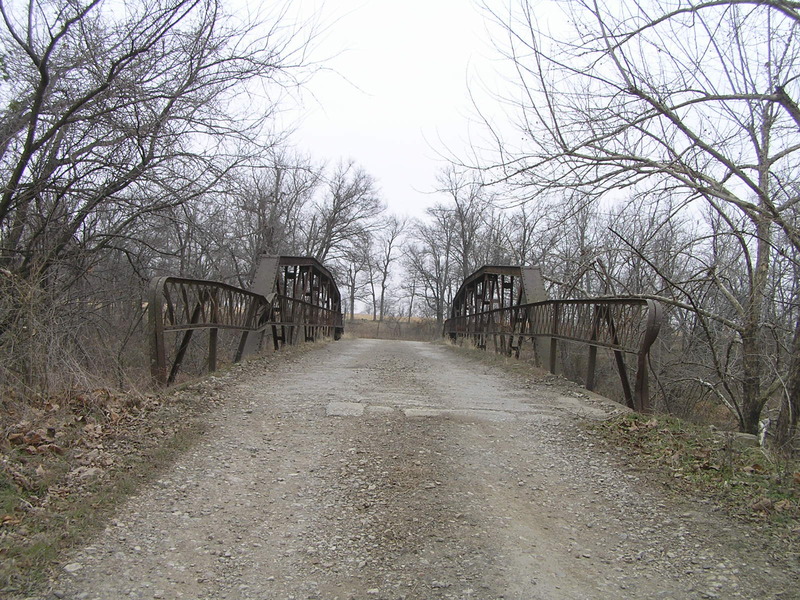 This bridge stands as a surprisingly good example of a turn of the century bridge installation.